We are in the final phases of planning our annual Build Your Blog Conference that is happening in less than a month, so things are HAIRY around here! We have over 400 bloggers coming to our conference in Salt Lake City and we are busy wrapping up the final details . . . it’s going to be an amazing conference! However, amid all the chaos of planning a huge conference, dinners have to be quick and simple or they just don’t happen. 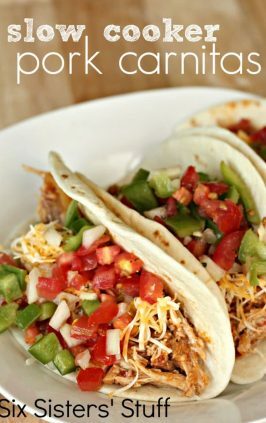 I have been using my slow cooker almost every night and the less complicated and the fewer ingredients a recipe uses, the more I love it! My cute mother-in-law shared this recipe with me from a neighborhood cookbook that her friends had put together. 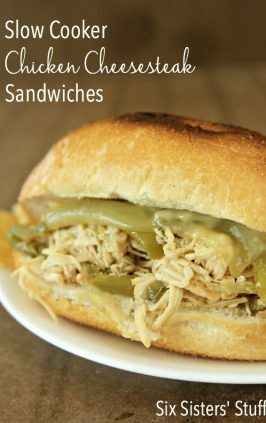 The version she gave me was to bake it in the oven, but I didn’t have time to keep basting the chicken, so I thought I would just dump it in my slow cooker- BEST DECISION EVER! 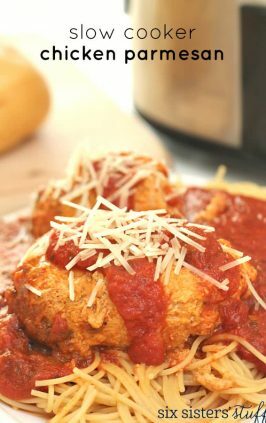 I have seen similar recipes floating around, but this version was definitely a hit in our family! I even cut up the leftover chicken the next day and threw it on top of a salad- it was delicious. So, do yourself a favor and let your slow cooker do all the cooking for you. 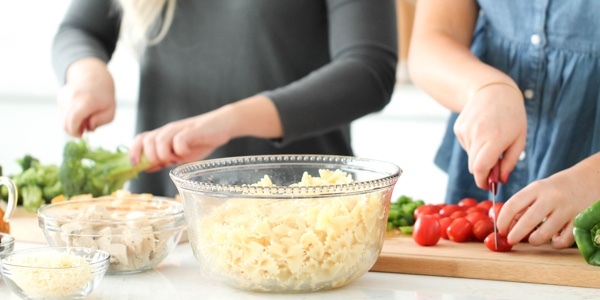 This dish couldn’t be any easier! My cute mother-in-law shared this recipe with me from a neighborhood cookbook that her friends had put together. 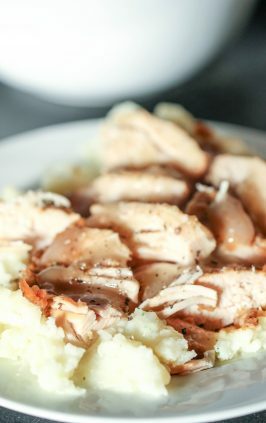 The version she gave me was to bake it in the oven, but I didn't have time to keep basting the chicken, so I thought I would just dump it in my slow cooker- BEST DECISION EVER! 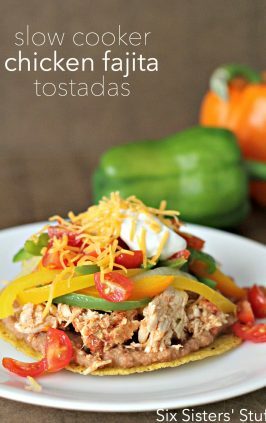 I have seen similar recipes floating around, but this version was definitely a hit in our family! I even cut up the leftover chicken the next day and threw it on top of a salad- it was delicious. So, do yourself a favor and let your slow cooker do all the cooking for you. This dish couldn't be any easier! 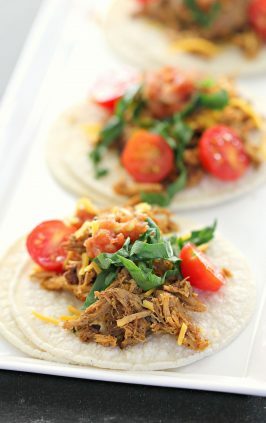 Looking for other yummy slow cooker dishes? I've been making this same recipe for years, except I use Russian/Catalina dressing instead of bbq sauce. We always called it sweet and sour chicken! I'm excited to try it with the bbq sauce! What do you do with the 2 tablespoons water? I had all of the ingredients so immediately got up from my desk and put them in the crockpot. I didn't have quite enough jam so I'll hit the store later but for now, dinner will be ready at 6! :) Thank you! I hope we love this!! I look forward to trying this recipe this week! I'm going to try it as one... I will let you know! Should the barbecue sauce and preserves be mixed together before being put in the slow cooker? Thanks. Can you use any other flavor preserve? I'm not a fan of apricot. 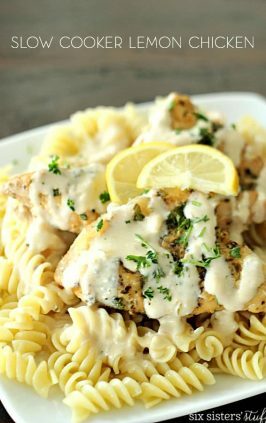 You could use a different flavor, but you would want to make sure it went well with chicken! Is this a kid favorite? 3 picky kids in my house, but they will all eat chicken. 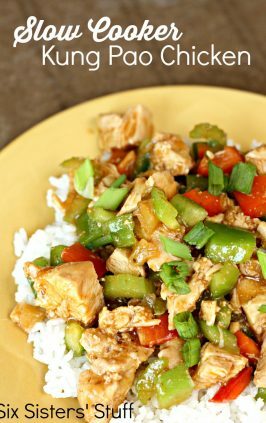 Hubby and I are getting sick of the same ol' chicken dishes and would like to try something new. Also, ever tried those slow-cooker liners? Just wondering if they work...I'd like to cut down the scrubbing time on my crock. 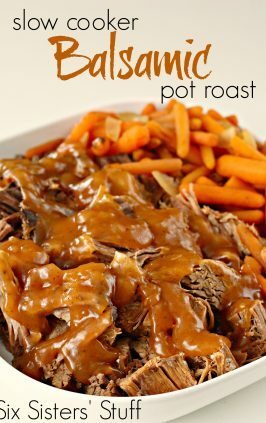 Slow cooker liners will become your best friend! Our kids are picky and they like the sticky chicken. 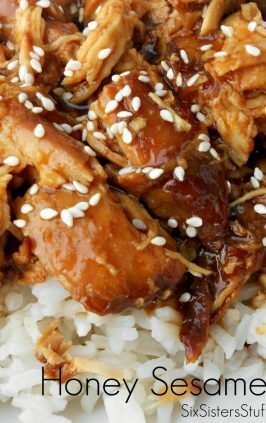 We have a lot of kid friendly chicken recipes. On the front page of our website click on recipe index. You can then click on chicken or kid approved recipes. Hope this helps! Can you use other chicken parts (legs, thighs and breast). God Blessed! I don't really like onion, is there another dry mix type thing you think would work in it's place? The only BBQ Sauce that I have on hand is Hoisin, do you think this would work just as well? BBQ sauce and Hoisin don't have quite the same taste! So the taste would be different with the Hoisin. I was so looking forward to trying this recipe - the picture looked amazing. But I tried it with thighs because that was all I had and it was a runny, soupy mess. Not sticky at all. I am going to try it again this weekend with the boneless, skinless breasts and see if it works better. My husband and I both tasted the sauce before adding it to the chicken and thought it was wonderful. So disappointed. :( Do you think my problem was just in using the thighs? I was disappointed in this recipe. It smelt really good in the crockpot all day but it just didn't do it for me. I served it over rice...but something is missing... not quite sure what but I won't be making this again. I made 2 batches of this for freezer meals. I made the first bag last night. I will admit I was a little hesitant with the apricot, bbq sauce and onion soup combo and it smelled a little strange while cooking. However, it turned out great. My husband loved this recipe very much. 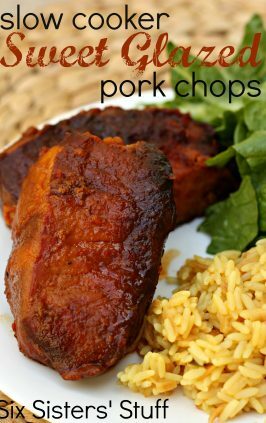 I used chicken thighs instead of breasts because I like the extra flavor from the dark meat. This is definitely something I would make again. 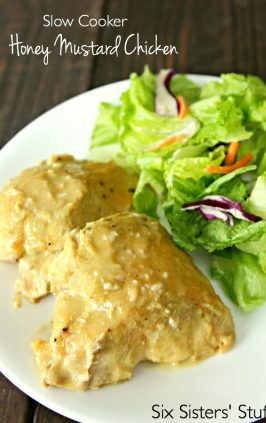 We served this over mashed potatoes with a side salad for an easy and satisfying meal. It served 2 adults, 1 kid and made for 2 giant lunch portions for my husband and I. Thanks for this great recipe! When I tried it it did not come out a soupy mess, but it was very liquidy. It was not sticky, as most of the sauce had run off the chicken. I used one boneless skinless chicken breast with 2 thighs and 2 drumsticks. It still tasted good. I served it over rice . I thickened the sauce by turning the crock pot to high, stirring in a paste of corn starch and water and letting it cook until it had thickened. Next time I will leave out the water, or maybe just cook it in the oven. I am diabetic the carbs. protein,fats etc.would be helpful when making this.